Hello, my friends. It's been quite a while since I've been in the kitchen cooking from scratch. Being pregnant is hard work! The baby is now almost 3 weeks old, the garden is bursting with tomatoes, and I've gotten slowly back in the kitchen. 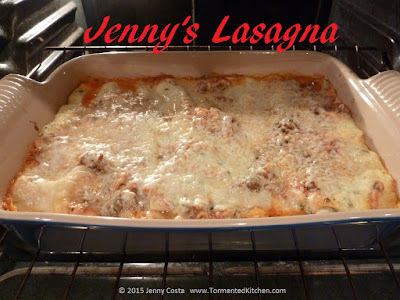 Today, I'm sharing with you, my recipe for lasagna. I made a small batch of homemade tomato sauce with bell peppers and pork to use up some tomatoes. 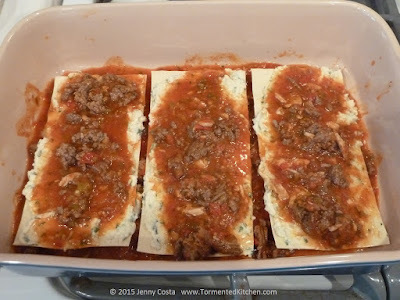 I used that for my lasagna sauce this time, but you can use jarred sauce from the store. I normally use marinara or a tomato-y sauce in a jar, so use what works for you. 1. Brown the ground beef. Drain fat. Add the jar of pasta sauce. Rinse the jar with the 1 1/2 cups water and add that to the beef. Stir over low heat to warm. 2. 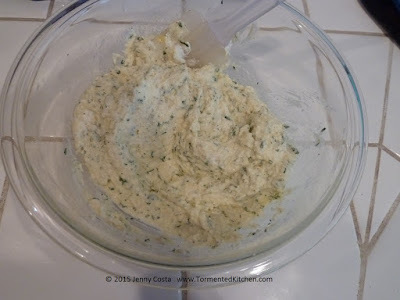 Combine eggs, ricotta, 2 cups mozzarella, salt, pepper, and parsley. This will be the cheese filling. Set aside. 3. 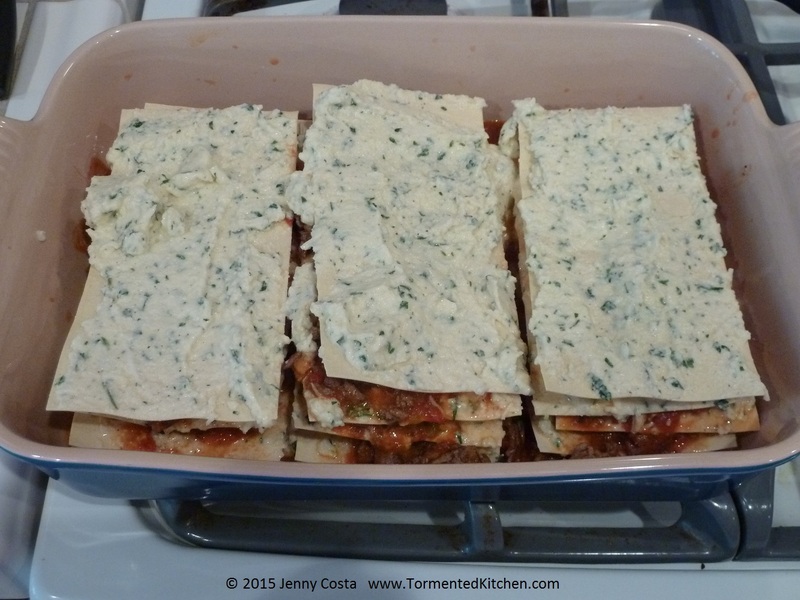 Use a 9x13 or slightly larger baking dish to assemble the lasagna. 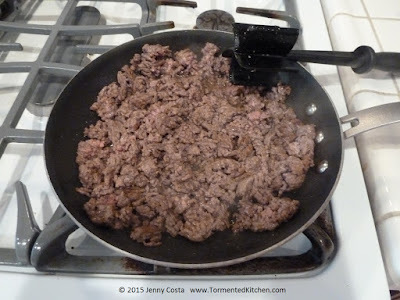 Begin with about 1 cup of meat-sauce mixture spread over the bottom. 4. Add the first layer of lasagna noodles to cover the sauce, in a single layer with no overlaps. This should take 3 oven-ready noodles (or 5 noodles if you're using another brand that requires boiling). 5. 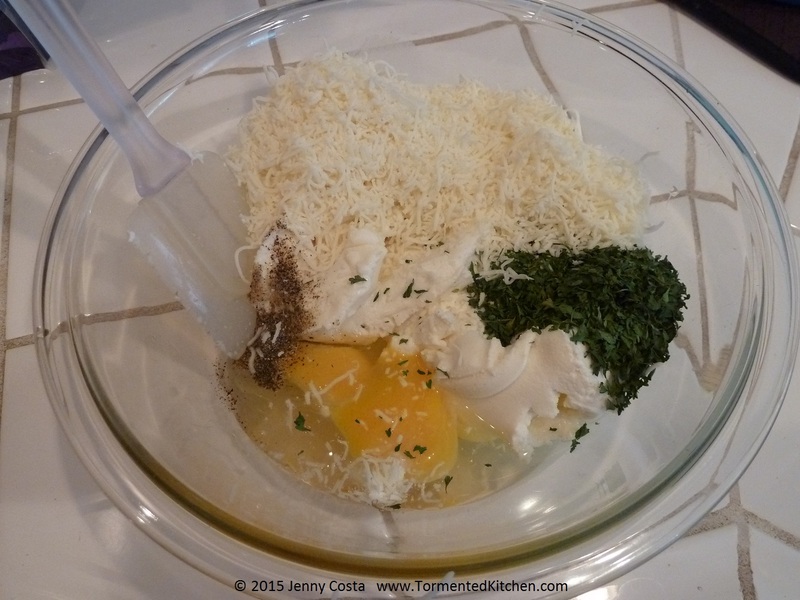 Spread half of the cheese mixture over the dry noodles. 6. Add another cup of meat sauce mixture on top of the cheese layer. 7. 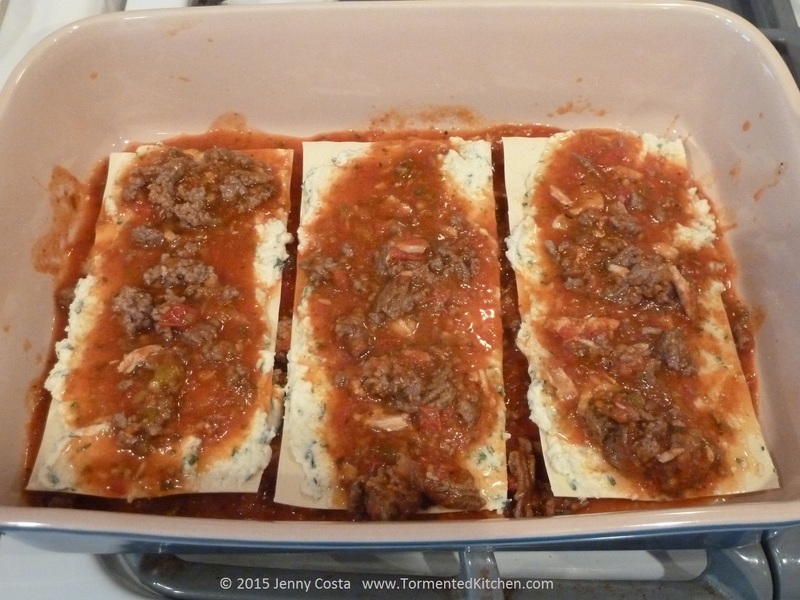 Add a second layer of lasagna noodles to cover the meat sauce, in a single layer. 8. Spread the other half of the cheese mixture over the dry noodles. 9. 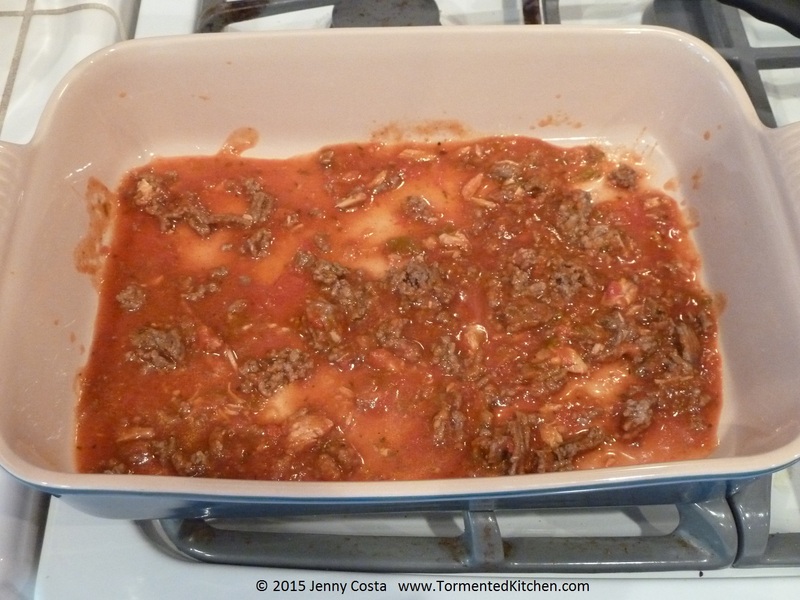 Add another cup of meat sauce mixture on top of the cheese layer. 10. 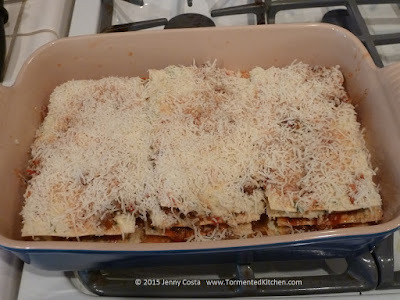 Add a third layer of lasagna noodles to cover the meat sauce, in a single layer. 11. If there is any meat sauce left, spread it on top. 12. 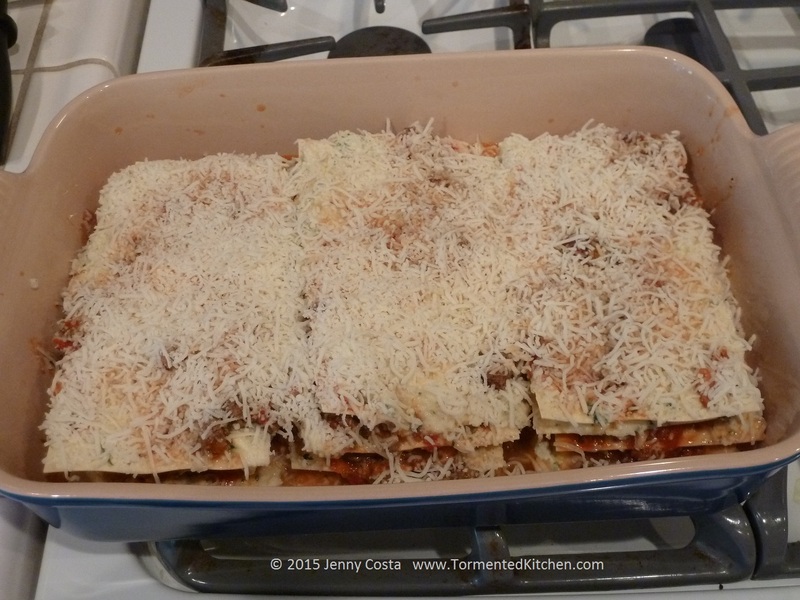 Sprinkle the remaining mozzarella and Parmesan over everything. 13. Cover pan with foil. Bake for 40 minutes in a 350F preheated oven. 13 1/2. Or if you want to make this in advance, cover the uncooked lasagna with foil and place in fridge until you are ready to bake. 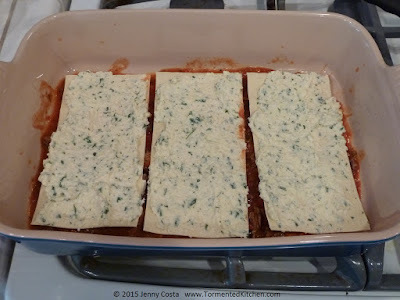 Place cold dish in a cold oven and then turn to 350F. Let it bake about 45 minutes, keeping it covered. 14. Remove foil and bake another 10-15 minutes, or until browned to your liking. 15. 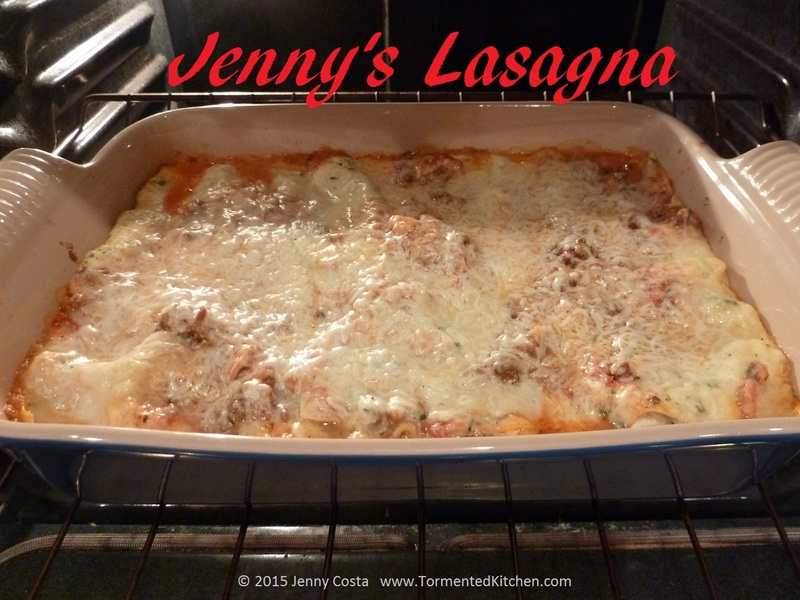 Let lasagna rest 10 minutes before serving. It will hold up better when you cut slices. 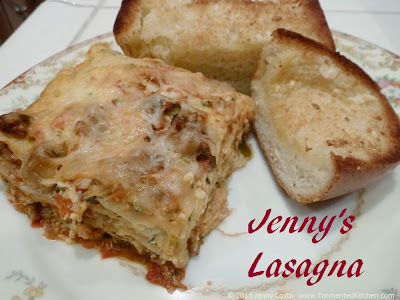 This is perfect with a salad and some Garlic Bread.